Walking Over The Chicago River and Why Christians Must Read Poetry | Ross Gale is a writer and editor from the Pacific Northwest. I was walking past the Sears Tower last summer in downtown Chicago. I don’t remember the time but the sky was dark. 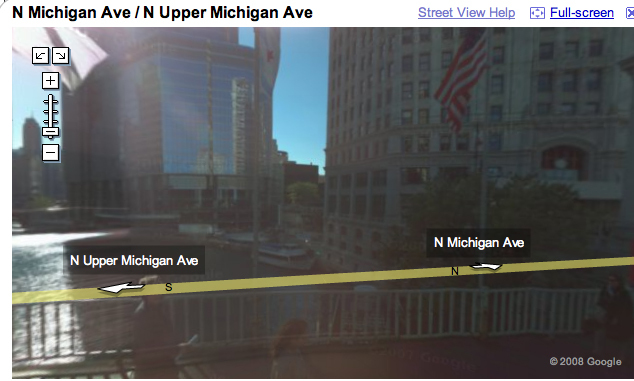 I was trying to find the train station to catch a train to Milwaukee to see a Brewers game against Cincinnati the next day. As I crossed over the Chicago River I paused and looked over the edge. It’s width was the size of a five lane street, by the way it moved–as if more than alive, almost alert of my presence–I was overcome with a sense of foreboding, that I was looking into the face of Power itself, this mass of black water flowing. I wasn’t scared, I was almost in awe that something could have such silent depth. I came upon this poem by Alan Grossman entitled “The Woman on the Bridge Over the Chicago River.” The scene is set next to The Wrigley Building on Michigan Ave. on the north side of downtown (I was in the south side). 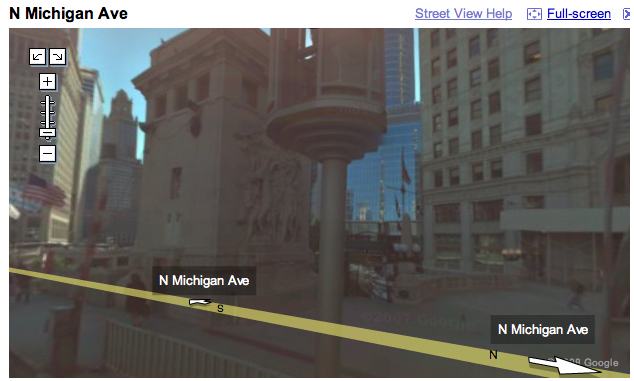 Here’s a Google image of the poem’s location. As you enter downtown along the bridge you see the Fort Dearborn Massacre sculpture (technically a bas relief), which you can sort of see in the center of this picture. 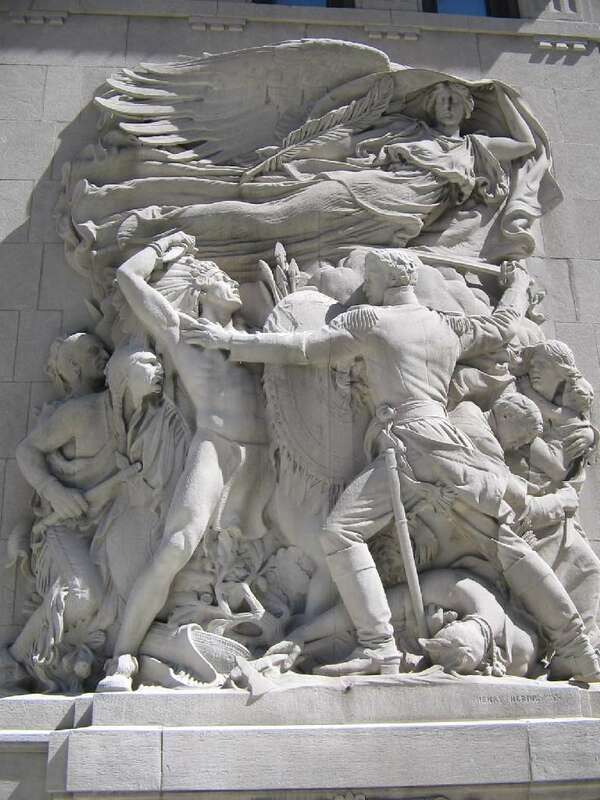 I talk about this bas relief in my fictional story “Crossing Burnside” which is still up on my myspace here. I’m regressing a bit, but I didn’t actually make it to Milwaukee last summer. I ended up in a Park Ridge Lutheran church falling asleep to the pastor’s sermon. The reason I bring up the poem is that I’m going to begin a series on poetry. I’m not a big fan of reading poetry and that is unfortunate because the Bible is full of it. In fact, one way that God communicates His love to us is through the use of metaphors and images: poems. And being able to understand them, appreciate them, and discern them is an important way to grow intimately with God and to know who were are and what our purpose is. I’d say reading poetry is crucial to our faith and journey. The problem is that poetry is difficult and forces us to think and feel in ways we aren’t used to or comfortable with. I won’t be limiting the series to poetry because I’ll also be discusses reading in general. How we as Christians must be good readers while teaching and encouraging strong readership among our children and community. Our focus verse will be Romans 12:2 where Paul says we must be “transformed by the renewing of our mind,” and the implications of that command. I’ll also be using Edward Hirsch’s book How To Read A Poem: And Fall In Love With Poetry as a guide because there are many things we can learn in reading the Bible from learning to read poetry. I recommend reading Grossman’s poem and then coming back for the series beginning Monday. i love blog series’. awesome. Hi Ross,I was interested in your bit about the poetry and invite you to my site to see what you think.God Bless,Mike. i loved your “crossing burnside” story. you write wonderful poetry too – wasn’t that one, “i fell in love with the preacher’s wife” published? i would like to read that one again. so happy you are doing a series on poetry! i think the most beautiful poetry ever written is found in psalms, it brings me to tears and i am so inspired by it. don’t you love it when people invite you to their site over a comment. it has such class…….